ACTEON created PSPIX to be the first personal imaging plate scanner on the market. The single-user, digital phosphor plate imaging scanner provides images within a few seconds, saving time and increasing efficiency. 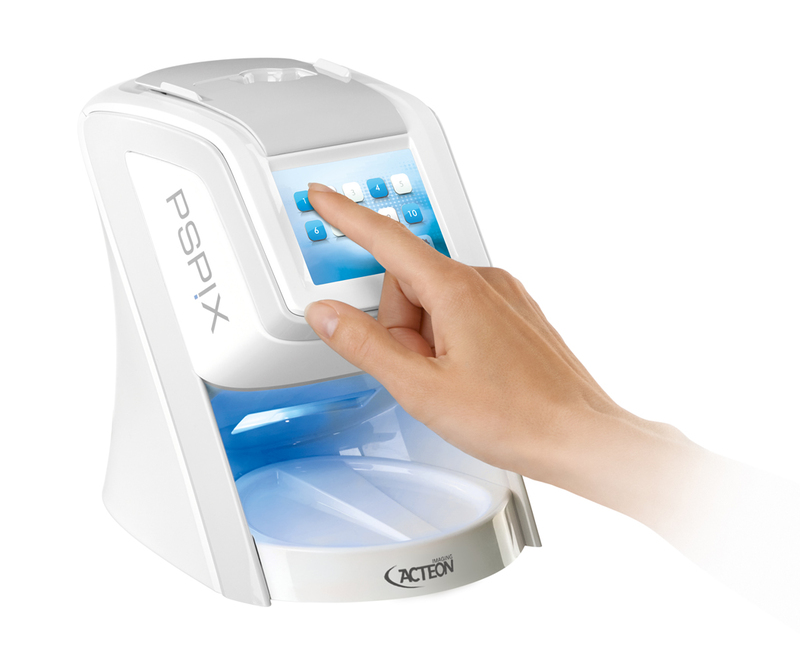 PSPIX offers cutting-edge technology and design with a large color touchscreen that provides intuitive indications for quick and easy use. Its Sopro Imaging software is compatible with MAC and Windows, and provides accurate, sharp, and contrasted images to ensure reliable clinical diagnosis. The wireless ACTEON imaging plates provide increased flexibility and are available in a wide range of sizes. Hygiene is at the core of PSPIX. Hygiene bags provide a protective cover for the imaging plates, and the touch-screen stylus also allows for hygienic use. PSPIX’s removable parts comply with the latest disinfection standards, and optional autoclavable parts are available to eliminate the risk of infection. PSPIX has a compact footprint and is designed to be placed chairside in each operatory. Its “Click and Scan” concept saves time by automatically detecting the imaging plate’s size and optimizing the image before displaying it on the correct workstation. The imaging plate is automatically erased and ejected for immediate reuse.